With the BlackBerry 10 introduction coming in three weeks in New York City, the nation's top four U.S. carriers have confirmed their intention to carry the new BlackBerry models. Verizon, AT&T, T-Mobile and Sprint all made statements about BlackBerry 10 and you might recall the recent picture we showed you of a BlackBerry Z10 handset wearing the Verizon brand. Another unbranded Z10 was said to be a version of the phone for AT&T according to a person testing the models. At CES 2013, Verizon Communications CEO Lowell McAdam didn't exactly sound confident about BlackBerry 10 when he said that Verizon will carry BlackBerry 10 and is hopeful that it will be a good device. T-Mobile CEO John Legere sounded more optimistic about the success of the new BlackBerry OS. AT&T handset executive Jeff Bradley said that it was logical for AT&T customers to have the best new BlackBerry devices to choose from. On Tuesday, RIM CMO Frank Boulben said that at least six new BlackBerry 10 models will be launched in 2013. The first two units to be released will include one all-touch phone (BlackBerry Z10) and one model with a physical QWERTY (BlackBerry X10). 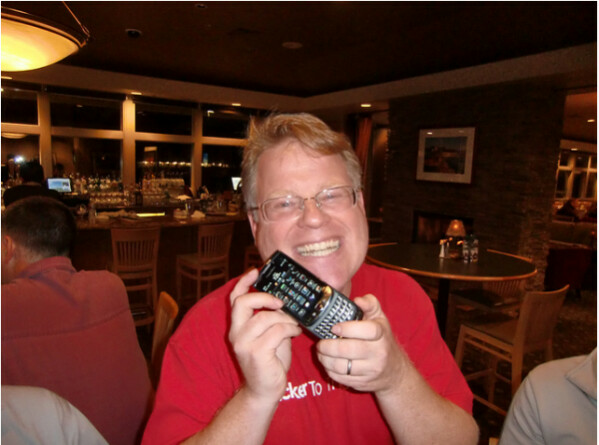 Tech author Robert Scoble announced on his Facebook page that he had a chance to look over BlackBerry 10. While he has been extremely bearish on RIM, after getting that hands on with the OS, Scoble said that while he liked BlackBerry 10 a lot, "it won’t get any Apple or Android fan hot and bothered." 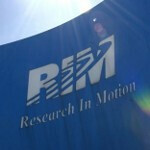 RIM lost 1 million users in the last quarter. Perhaps merely staunching the red ink would satisfy BlackBerry and its fans for now. "We're hopeful it's going to be a good device...We'll carry it. "-Lowell McAdam, chief executive, Verizon. Hmm Sprint seems to very stubborn with Windows Phone 8 and Blackberry 10. I really do feel sorry for Sprint users. Cause Sprint Verizon and T-Mobile don't, dislike WP cause there failing! Sprint is like becoming the anti-network for new platforms....What is going on with them? Where is Nicholas Oliver and Pikapowerise....? Really looking forward to BB 10. They wont dominate but eventually they will sell well...I believe if RIM gains some momentum this year then they will be happy with that. Baby steps! More like stop the migration of BB users to Android, iOS and WP. Scoble's comments weren't exactly portending a reversal of BBs fortunes.